Mark with Amber Chair, Julia Walport. 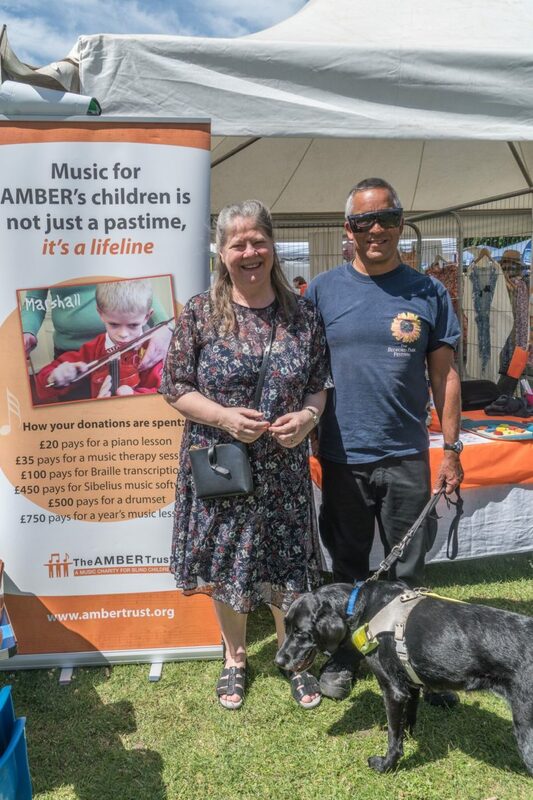 Mark Critchlow is registered visually impaired and is embarking on a brave mission to raise money and awareness for The Amber Trust by swimming across the English channel. The challenge is to swim from Dover England to Cap Gris Nez in France as one of a team of four. The start date is anytime between 27 Aug and 7 Sept and is subject to weather conditions. We are so grateful for Mark taking on this enormous challenge for Amber and hope that people can support him on through his Virgin Money Giving page. We wish Mark masses of luck and we will keep you updated on his progress on our website and through social media.